Many new pieces of technology can be beneficial to individuals living with dementia, including both hardware and software. 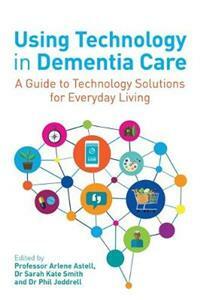 This straightforward guide summarises the current research on this growing topic, and gives practical advice on how available technology can be used to improve the everyday lives of people with dementia. Looking at a range of available products, such as off-the-shelf computers and smartphones, to dementia specific applications and programs, it also addresses some common obstacles and barriers faced when introducing technology in dementia care. The past twenty years have seen an array of technologies developed to improve the day-to-day lives of people with dementia; this guide shows how they can be effectively used.